RonDoids: To All Our Jewish Followers & Friends - Happy Hanukkah: What is Hanukkah? What does it mean? How & Where is it Celebrated? To All Our Jewish Followers & Friends - Happy Hanukkah: What is Hanukkah? What does it mean? How & Where is it Celebrated? Significance The Maccabees successfully rebelled against Antiochus IV Epiphanes. According to the Talmud, a late text, the Temple was purified and the wicks of the menorah miraculously burned for eight days, even though there was only enough sacred oil for one day's lighting. Hanukkah (/ˈhɑːnəkə/ HAH-nə-kə; Hebrew: חֲנֻכָּה‬ ḥanuká, Tiberian: ḥanuká, usually spelled חנוכה‎, pronounced [χanuˈka] in Modern Hebrew, [ˈχanukə] or [ˈχanikə] in Yiddish; a transliteration also romanized as Chanukah or Ḥanukah) is a Jewish holiday commemorating the rededication of the Second Temple in Jerusalem at the time of the Maccabean Revolt against the Seleucid Empire. Hanukkah is observed for eight nights and days, starting on the 25th day of Kislev according to the Hebrew calendar, which may occur at any time from late November to late December in the Gregorian calendar. It is also known as the Festival of Lights and the Feast of Dedication. The festival is observed by lighting the candles of a candelabrum with nine branches, called a Hanukkah menorah (or hanukkiah). One branch is typically placed above or below the others and its candle is used to light the other eight candles. 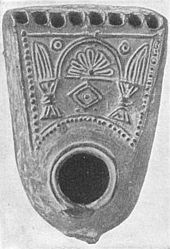 This unique candle is called the shamash (Hebrew: שמש‎, "attendant"). Each night, one additional candle is lit by the shamash until all eight candles are lit together on the final night of the holiday. Other Hanukkah festivities include playing dreidel and eating oil-based foods such as latkes and sufganiyot, and dairy foods. Since the 1970s, the worldwide Chabad Hasidic movement has initiated public menorah lightings in open public places in many countries. The name can be broken down into חנו כ"ה, "[they] rested [on the] twenty-fifth", referring to the fact that the Jews ceased fighting on the 25th day of Kislev, the day on which the holiday begins. חנוכה‎ (Hanukkah) is also the Hebrew acronym for ח נרות והלכה כבית הלל — "Eight candles, and the halakha is like the House of Hillel". This is a reference to the disagreement between two rabbinical schools of thought — the House of Hillel and the House of Shammai — on the proper order in which to light the Hanukkah flames. Shammai opined that eight candles should be lit on the first night, seven on the second night, and so on down to one on the last night (because the miracle was greatest on the first day). Hillel argued in favor of starting with one candle and lighting an additional one every night, up to eight on the eighth night (because the miracle grew in greatness each day). Jewish law adopted the position of Hillel. In Hebrew, the word Hanukkah is written חֲנֻכָּה‬ or חנוכה‎ (Ḥănukkāh). It is most commonly transliterated to English as Hanukkah or Chanukah. The former spelling (Hanukkah), which is based on using characters of the English alphabet as symbols to re-create the word's correct spelling in Hebrew, is the most common and the preferred choice of Merriam–Webster, Collins English Dictionary, the Oxford Style Manual, and the style guides of The New York Times and The Guardian. The sound represented by Ch ([χ], similar to the Scottish pronunciation of loch) is not native to the English language. Furthermore, the letter ḥeth (ח‎), which is the first letter in the Hebrew spelling, is pronounced differently in modern Hebrew (voiceless uvular fricative) from in classical Hebrew (voiceless pharyngeal fricative [ħ]), and neither of those sounds is unambiguously representable in English spelling. However, its original sound is closer to the English H than to the Scottish Ch, and Hanukkah more accurately represents the spelling in the Hebrew alphabet.Moreover, the 'kaf' consonant is geminate in classical (but not modern) Hebrew. Adapting the classical Hebrew pronunciation with the geminate and pharyngeal Ḥeth can lead to the spelling Hanukkah, while adapting the modern Hebrew pronunciation with no gemination and uvular Ḥeth leads to the spelling Chanukah. Rav Nissim Gaon postulates in his Hakdamah Le'mafteach Hatalmud that information on the holiday was so commonplace that the Mishna felt no need to explain it. A modern-day scholar Reuvein Margolies suggests that as the Mishnah was redacted after the Bar Kochba revolt, its editors were reluctant to include explicit discussion of a holiday celebrating another relatively recent revolt against a foreign ruler, for fear of antagonizing the Romans. Except in times of danger, the lights were to be placed outside one's door, on the opposite side of the mezuza, or in the window closest to the street. Rashi, in a note to Shabbat 21b, says their purpose is to publicize the miracle. The blessings for Hanukkah lights are discussed in tractate Succah, p. 46a. The Jewish historian Titus Flavius Josephus narrates in his book, Jewish Antiquities XII, how the victorious Judas Maccabeus ordered lavish yearly eight-day festivities after rededicating the Temple in Jerusalem that had been profaned by Antiochus IV Epiphanes. Josephus does not say the festival was called Hanukkah but rather the "Festival of Lights":"Now Judas celebrated the festival of the restoration of the sacrifices of the temple for eight days, and omitted no sort of pleasures thereon; but he feasted them upon very rich and splendid sacrifices; and he honored God, and delighted them by hymns and psalms. Nay, they were so very glad at the revival of their customs, when, after a long time of intermission, they unexpectedly had regained the freedom of their worship, that they made it a law for their posterity, that they should keep a festival, on account of the restoration of their temple worship, for eight days. And from that time to this we celebrate this festival, and call it Lights. I suppose the reason was because this liberty beyond our hopes appeared to us; and that thence was the name given to that festival. Judas also rebuilt the walls round about the city, and reared towers of great height against the incursions of enemies, and set guards therein. He also fortified the city Bethsura, that it might serve as a citadel against any distresses that might come from our enemies." The story of Hanukkah is alluded to in the book of 1 Maccabees and 2 Maccabees. 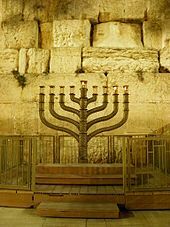 The eight-day rededication of the temple is described in 1 Maccabees 4:36–4:59, though the name of the festival and the miracle of the lights do not appear here. 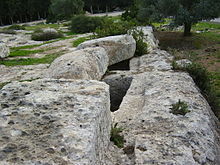 A story similar in character, and obviously older in date, is the one alluded to in 2 Maccabees 1:18–1:36 according to which the relighting of the altar fire by Nehemiah was due to a miracle which occurred on the 25th of Kislev, and which appears to be given as the reason for the selection of the same date for the rededication of the altar by Judah Maccabee. The above account in 1 Maccabees 4, as well as 2 Maccabees 1:9 portrays the feast as a delayed observation of the eight-day Feast of Booths (Sukkot)"; similarly 2 Maccabees 10:6 explains the length of the feast as "in the manner of the Feast of Booths". Another source is the Megillat Antiochus. This work (also known as "Megillat Benei Ḥashmonai", "Megillat Hanukkah", or "Megillat Yevanit") is extant in both the Aramaic and Hebrew languages; the Hebrew version is a literal translation from the Aramaic original. Recent scholarship dates it to somewhere between the 2nd and 5th Centuries, probably in the 2nd century, with the Hebrew dating to the 7th century. It was published for the first time in Mantua in 1557. Saadia Gaon, who translated it into Arabic in the 9th century, ascribed it to the elders of the School of Shammai and the School of Hillel. The Hebrew text with an English translation can be found in the Siddur of Philip Birnbaum. ...After this, the sons of Israel went up to the Temple and rebuilt its gates and purified the Temple from the dead bodies and from the defilement. And they sought after pure olive oil to light the lamps therewith, but could not find any, except one bowl that was sealed with the signet ring of the High Priest from the days of Samuel the prophet and they knew that it was pure. There was in it [enough oil] to light [the lamps therewith] for one day, but the God of heaven whose name dwells there put therein his blessing and they were able to light from it eight days. Therefore, the sons of Ḥashmonai made this covenant and took upon themselves a solemn vow, they and the sons of Israel, all of them, to publish amongst the sons of Israel, [to the end] that they might observe these eight days of joy and honour, as the days of the feasts written in [the book of] the Law; [even] to light in them so as to make known to those who come after them that their God wrought for them salvation from heaven. In them, it is not permitted to mourn, neither to decree a fast [on those days], and anyone who has a vow to perform, let him perform it. In the Christian Greek Scriptures, John 10:22–23 says Jesus walked in Solomon's Porch at the Jerusalem Temple during "the Feast of Dedication and it was winter." The Greek term that is used is "the renewals" (Greek ta enkainia τὰ ἐγκαίνια). The Hebrew word for "dedication" is "Hanukkah". The Aramaic New Testament uses the Aramaic word "Khawdata" (a close synonym), which literally means "renewal" or "to make new." Josephus refers to the festival as "lights." The king being thereto disposed beforehand, complied with them, and came upon the Jews with a great army, and took their city by force, and slew a great multitude of those that favored Ptolemy, and sent out his soldiers to plunder them without mercy. He also spoiled the temple, and put a stop to the constant practice of offering a daily sacrifice of expiation for three years and six months. When the Second Temple in Jerusalem was looted and services stopped, Judaism was outlawed. In 167 BCE, Antiochus ordered an altar to Zeus erected in the Temple. He banned brit milah (circumcision) and ordered pigs to be sacrificed at the altar of the temple. Antiochus's actions provoked a large-scale revolt. Mattathias (Mattityahu), a Jewish priest, and his five sons Jochanan, Simeon, Eleazar, Jonathan, and Judah led a rebellion against Antiochus. It started with Mattathias killing first a Jew who wanted to comply with Antiochus's order to sacrifice to Zeus, and then a Greek official who was to enforce the government's behest (1 Mac. 2, 24–25). Judah became known as Yehuda HaMakabi ("Judah the Hammer"). By 166 BCE Mattathias had died, and Judah took his place as leader. By 165 BCE the Jewish revolt against the Seleucid monarchy was successful. The Temple was liberated and rededicated. The festival of Hanukkah was instituted to celebrate this event. Judah ordered the Temple to be cleansed, a new altar to be built in place of the polluted one and new holy vessels to be made. According to the Talmud, unadulterated and undefiled pure olive oil with the seal of the kohen gadol (high priest) was needed for the menorah in the Temple, which was required to burn throughout the night every night. The story goes that one flask was found with only enough oil to burn for one day, yet it burned for eight days, the time needed to prepare a fresh supply of kosher oil for the menorah. An eight-day festival was declared by the Jewish sages to commemorate this miracle. The version of the story in 1 Maccabees states that an eight-day celebration of songs and sacrifices was proclaimed upon re-dedication of the altar, and makes no specific mention of the miracle of the oil. 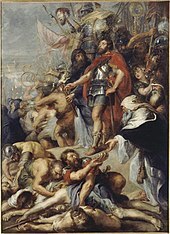 Some modern scholars argue that the king was intervening in an internal civil war between the Maccabean Jews and the Hellenized Jews in Jerusalem. These competed violently over who would be the High Priest, with traditionalists with Hebrew/Aramaic names like Onias contesting with Hellenizing High Priests with Greek names like Jason and Menelaus. In particular, Jason's Hellenistic reforms would prove to be a decisive factor leading to eventual conflict within the ranks of Judaism. Other authors point to possible socioeconomic reasons in addition to the religious reasons behind the civil war. The miracle of the oil is widely regarded as a legend and its authenticity has been questioned since the Middle Ages. However, given the famous question Rabbi Yosef Karoposed concerning why Hanukkah is celebrated for eight days when the miracle was only for seven days (since there was enough oil for one day), it was clear that he believed it was a historical event. This belief has been adopted by most of Orthodox Judaism, in as much as Rabbi Karo's Shulchan Aruch is a main Code of Jewish Law. 167 BCE: Antiochus orders an altar to Zeus erected in the Temple. Mattathias and his five sons John, Simon, Eleazar, Jonathan, and Judah lead a rebellion against Antiochus. Judah becomes known as Judah Maccabee ("Judah the Hammer"). 166 BCE: Mattathias dies, and Judah takes his place as leader. The Hasmonean Jewish Kingdom begins; It lasts until 63 BCE. 142 BCE: Re-establishment of the Second Jewish Commonwealth. The Seleucids recognize Jewish autonomy. The Seleucid kings have a formal overlordship, which the Hasmoneans acknowledge. This inaugurates a period of population growth and religious, cultural and social development. This includes the conquest of the areas now covered by Transjordan, Samaria, Galilee, and Idumea (also known as Edom), and the forced conversion of Idumeans to the Jewish religion, including circumcision. 134 BCE: Antiochus VII Sidetes besieges Jerusalem. The Jews under John Hyrcanus become Seleucid vassals but retain religious autonomy. 129 BCE: Antiochus VII dies. The Hasmonean Jewish Kingdom throws off Syrian rule completely. 96 BCE: Beginning of an eight-year civil war between Sadducee king Alexander Yanai and the Pharisees. 85–82 BCE: Consolidation of the Kingdom in territory east of the Jordan River. 63 BCE: The Hasmonean Jewish Kingdom comes to an end because of a rivalry between the brothers Aristobulus II and Hyrcanus II, both of whom appeal to the Roman Republic to intervene and settle the power struggle on their behalf. The Roman general Gnaeus Pompeius Magnus (Pompey the Great) is dispatched to the area. 12 thousand Jews are massacred in the Roman Siege of Jerusalem. The Priests of the Temple are struck down at the Altar. Rome annexes Judea. Matityahu the High Priest, also referred to as Mattathias and Mattathias ben Johanan. Matityahu was a Jewish High Priest who, together with his five sons, played a central role in the story of Hanukkah. Judah the Maccabee, also referred to as Judas Maccabeus and Y'hudhah HaMakabi. Judah was the eldest son of Matityahu and is acclaimed as one of the greatest warriors in Jewish history alongside Joshua, Gideon, and David. Eleazar the Maccabee, also referred to as Eleazar Avaran, Eleazar Maccabeus and Eleazar Hachorani/Choran. Simon the Maccabee, also referred to as Simon Maccabeus and Simon Thassi. Johanan the Maccabee, also referred to as Johanan Maccabeus and John Gaddi. Jonathan the Maccabee, also referred to as Jonathan Apphus. Antiochus IV Epiphanes. Seleucid emperor controlling the region during this period. Judith. Acclaimed for her heroism in the assassination of Holofernes. Hannah and her seven sons. Arrested, tortured and killed one by one, by Antiochus IV Epiphanes for refusing to bow to an idol. Chanukah Menorah opposite Nazi building in Berlin, December 1932. Hanukkah is celebrated with a series of rituals that are performed every day throughout the 8-day holiday, some are family-based and others communal. There are special additions to the daily prayer service, and a section is added to the blessing after meals. Hanukkah is not a "Sabbath-like" holiday, and there is no obligation to refrain from activities that are forbidden on the Sabbath, as specified in the Shulkhan Arukh. Adherents go to work as usual but may leave early in order to be home to kindle the lights at nightfall. There is no religious reason for schools to be closed, although in Israel schools close from the second day for the whole week of Hanukkah. Many families exchange gifts each night, such as books or games, and "Hanukkah Gelt" is often given to children. Fried foods (such as latkes (potato pancakes), jelly doughnuts (sufganiyot), and Sephardic bimuelos) are eaten to commemorate the importance of oil during the celebration of Hanukkah. Some also have a custom of eating dairy products to remember Judith and how she overcame Holofernes by feeding him cheese, which made him thirsty, and giving him wine to drink. When Holofernes became very drunk, Judith cut off his head. Each night throughout the 8 day holiday, a candle or oil-based light is lit. As a universally practiced "beautification" (hiddur mitzvah) of the mitzvah, the number of lights lit is increased by one each night. An extra light called a shamash, meaning "attendant" or "sexton," is also lit each night, and is given a distinct location, usually higher, lower, or to the side of the others. Among Ashkenazim the tendency is for every male member of the household (and in many families, girls as well) to light a full set of lights each night, while among Sephardim the prevalent custom is to have one set of lights for the entire household. The purpose of the shamash is to adhere to the prohibition, specified in the Talmud (Tractate Shabbat 21b–23a), against using the Hanukkah lights for anything other than publicizing and meditating on the Hanukkah miracle. This differs from Sabbath candles which are meant to be used for illumination and lighting. Hence, if one were to need extra illumination on Hanukkah, the shamash candle would be available, and one would avoid using the prohibited lights. Some, especially Ashkenazim, light the shamash candle first and then use it to light the others. So altogether, including the shamash, two lights are lit on the first night, three on the second and so on, ending with nine on the last night, for a total of 44 (36, excluding the shamash). It is Sephardic custom not to light the shamash first and use it to light the rest. Instead, the shamash candle is the last to be lit, and a different candle or a match is used to light all the candles. Some Hasidic Jews follow this Sephardic custom as well. The lights can be candles or oil lamps. Electric lights are sometimes used and are acceptable in places where open flame is not permitted, such as a hospital room, or for the very elderly and infirm; however, those who permit reciting a blessing over electric lamps only allow it if it is incandescent and battery operated (an incandescent flashlight would be acceptable for this purpose), while a blessing may not be recited over a plug-in menorah or lamp. Most Jewish homes have a special candelabrum referred to as either a Chanukiah (the modern Israeli term) or a menorah (the traditional name, simply Hebrew for 'lamp'). Many families use an oil lamp (traditionally filled with olive oil) for Hanukkah. Like the candle Chanukiah, it has eight wicks to light plus the additional shamash light. 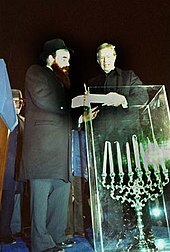 In the United States, Hanukkah became a more visible festival in the public sphere from the 1970s when Rabbi Menachem M. Schneerson called for public awareness and observance of the festival and encouraged the lighting of public menorahs. Diane Ashton attributed the increased visibility and reinvention of Hanukkah by some of the American Jewish community as a way to adapt to American life, re-inventing the festival in "the language of individualism and personal conscience derived from both Protestantism and the Enlightenment". The reason for the Hanukkah lights is not for the "lighting of the house within", but rather for the "illumination of the house without," so that passersby should see it and be reminded of the holiday's miracle (i.e. that the sole cruse of pure oil found which held enough oil to burn for one night actually burned for eight nights). Accordingly, lamps are set up at a prominent window or near the door leading to the street. It is customary amongst some Ashkenazi Jews to have a separate menorah for each family member (customs vary), whereas most Sephardi Jews light one for the whole household. Only when there was danger of antisemitic persecution were lamps supposed to be hidden from public view, as was the case in Persia under the rule of the Zoroastrians, or in parts of Europe before and during World War II. However, most Hasidic groups light lamps near an inside doorway, not necessarily in public view. According to this tradition, the lamps are placed on the opposite side from the mezuzah, so that when one passes through the door s/he is surrounded by the holiness of mitzvot (the commandments). Hanukkah lights should usually burn for at least half an hour after it gets dark. The custom of many is to light at sundown, although most Hasidim light later. Many Hasidic Rebbes light much later to fulfill the obligation of publicizing the miracle by the presence of their Hasidim when they kindle the lights. Inexpensive small wax candles sold for Hanukkah burn for approximately half an hour so should be lit no earlier than nightfall. Friday night presents a problem, however. Since candles may not be lit on Shabbat itself, the candles must be lit before sunset. However, they must remain lit through the lighting of the Shabbat candles. Therefore, the Hanukkah menorah is lit first with larger candles than usual, followed by the Shabbat candles. At the end of the Shabbat, there are those who light the Hanukkah lights before Havdalah and those who make Havdalah before the lighting Hanukkah lights. If for whatever reason one didn't light at sunset or nightfall, the lights should be kindled later, as long as there are people in the streets. Later than that, the lights should still be kindled, but the blessings should be recited only if there is at least somebody else awake in the house and present at the lighting of the Hannukah lights. Typically two blessings (brachot; singular: brachah) are recited during this eight-day festival when lighting the candles. On the first night, the shehecheyanu blessing is added, making a total of three blessings. The blessings are said before or after the candles are lit depending on tradition. On the first night of Hanukkah one light (candle or oil) is lit on the right side of the menorah, on the following night a second light is placed to the left of the first but it is lit first, and so on, proceeding from placing candles right to left but lighting them from left to right over the eight nights. Transliteration: Barukh ata Adonai Eloheinu, melekh ha'olam, asher kid'shanu b'mitzvotav v'tzivanu l'hadlik ner shel Hanukkah. Translation: "Blessed are You, LORD our God, King of the universe, Who has sanctified us with His commandments and commanded us to kindle the Hanukkah light[s]." Transliteration: Barukh ata Adonai Eloheinu, melekh ha'olam, she'asa nisim la'avoteinu ba'yamim ha'heim ba'z'man ha'ze. Translation: "Blessed are You, LORD our God, King of the universe, Who performed miracles for our ancestors in those days at this time..."
הנרות הללו אנו מדליקין על הנסים ועל הנפלאות ועל התשועות ועל המלחמות שעשית לאבותינו בימים ההם, בזמן הזה על ידי כהניך הקדושים. וכל שמונת ימי חנוכה הנרות הללו קודש הם, ואין לנו רשות להשתמש בהם אלא להאיר אותם בלבד כדי להודות ולהלל לשמך הגדול על נסיך ועל נפלאותיך ועל ישועותיך. Hanneirot hallalu anu madlikin 'al hannissim ve'al hanniflaot 'al hatteshu'ot ve'al hammilchamot she'asita laavoteinu bayyamim haheim, (u)bazzeman hazeh 'al yedei kohanekha hakkedoshim. Vekhol-shemonat yemei Hanukkah hanneirot hallalu kodesh heim, ve-ein lanu reshut lehishtammesh baheim ella lir'otam bilvad kedei lehodot ul'halleil leshimcha haggadol 'al nissekha ve'al nifleotekha ve'al yeshu'otekha. We kindle these lights for the miracles and the wonders, for the redemption and the battles that you made for our forefathers, in those days at this season, through your holy priests. During all eight days of Hanukkah these lights are sacred, and we are not permitted to make ordinary use of them except for to look at them in order to express thanks and praise to Your great Name for Your miracles, Your wonders and Your salvations. In the Ashkenazi tradition, each night after the lighting of the candles, the hymn Ma'oz Tzur is sung. The song contains six stanzas. The first and last deal with general themes of divine salvation, and the middle four deal with events of persecution in Jewish history, and praises God for survival despite these tragedies (the exodus from Egypt, the Babylonian captivity, the miracle of the holiday of Purim, the Hasmonean victory), and a longing for the days when Judea will finally triumph over Rome. The song was composed in the thirteenth century by a poet only known through the acrostic found in the first letters of the original five stanzas of the song: Mordechai. The familiar tune is most probably a derivation of a German Protestant church hymn or a popular folk song. After lighting the candles and Ma'oz Tzur, singing other Hanukkah songs is customary in many Jewish homes. Some Hasidic and Sephardi Jews recite Psalms, such as Psalms 30, Psalms 67, and Psalms 91. In North America and in Israel it is common to exchange presents or give children presents at this time. In addition, many families encourage their children to give tzedakah (charity) in lieu of presents for themselves. An addition is made to the "hoda'ah" (thanksgiving) benediction in the Amidah (thrice-daily prayers), called Al ha-Nissim ("On/about the Miracles").This addition refers to the victory achieved over the Syrians by the Hasmonean Mattathias and his sons. The same prayer is added to the grace after meals. In addition, the Hallel (praise) (Psalms 113 – Psalms 118) are sung during each morning service and the Tachanun penitential prayers are omitted. The Torah is read every day in the shacharit morning services in synagogue, on the first day beginning from Numbers 6:22 (according to some customs, Numbers 7:1), and the last day ending with Numbers 8:4. Since Hanukkah lasts eight days it includes at least one, and sometimes two, Jewish Sabbaths (Saturdays). The weekly Torah portion for the first Sabbath is almost always Miketz, telling of Joseph's dream and his enslavement in Egypt. The Haftarah reading for the first Sabbath Hanukkah is Zechariah 2:14 – Zechariah 4:7. When there is a second Sabbath on Hanukkah, the Haftarah reading is from 1Kings 7:40 – 1Kings 7:50. The Hanukkah menorah is also kindled daily in the synagogue, at night with the blessings and in the morning without the blessings. The menorah is not lit during Shabbat, but rather prior to the beginning of Shabbat as described above and not at all during the day. During the Middle Ages "Megillat Antiochus" was read in the Italian synagogues on Hanukkah just as the Book of Esther is read on Purim. It still forms part of the liturgy of the Yemenite Jews. The last day of Hanukkah is known by some as Zot Hanukkah and by others as Chanukat HaMizbeach, from the verse read on this day in the synagogue Numbers 7:84, Zot Hanukkat Hamizbe'ach: "This was the dedication of the altar". According to the teachings of Kabbalah and Hasidism, this day is the final "seal" of the High Holiday season of Yom Kippur and is considered a time to repent out of love for God. In this spirit, many Hasidic Jews wish each other Gmar chatimah tovah ("may you be sealed totally for good"), a traditional greeting for the Yom Kippur season. It is taught in Hasidic and Kabbalistic literature that this day is particularly auspicious for the fulfillment of prayers. It is customary for women not to work for at least the first half-hour of the candles' burning, and some have the custom not to work for the entire time of burning. It is also forbidden to fast or to eulogize during Hanukkah. 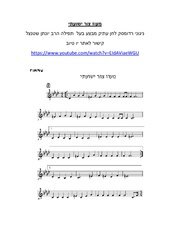 Radomsk Hasidic Ma'oz Tzur sheet music. There is a custom of eating foods fried or baked in oil (preferably olive oil) to commemorate the miracle of a small flask of oil keeping the Second Temple's Menorah alight for eight days. Traditional foods include potato pancakes, known as latkes in Yiddish, especially among Ashkenazifamilies. Sephardi, Polish, and Israeli families eat jam-filled doughnuts (Yiddish: פאנטשקעס‎ pontshkes), bimuelos (fritters) and sufganiyot which are deep-fried in oil. Hungarian Jews eat cheese pancakes known as "cheese latkes". Rabbinic literature also records a tradition of eating cheese and other dairy products during Hanukkah. This custom, as mentioned above, commemorates the heroism of Judith during the Babylonian captivity of the Jews and reminds us that women also played an important role in the events of Hanukkah. The deuterocanonical book of Judith(Yehudit or Yehudis in Hebrew), which is not part of the Tanakh, records that Holofernes, an Assyrian general, had surrounded the village of Bethulia as part of his campaign to conquer Judea. After intense fighting, the water supply of the Jews was cut off and the situation became desperate. Judith, a pious widow, told the city leaders that she had a plan to save the city. Judith went to the Assyrian camps and pretended to surrender. She met Holofernes, who was smitten by her beauty. She went back to his tent with him, where she plied him with cheese and wine. When he fell into a drunken sleep, Judith beheaded him and escaped from the camp, taking the severed head with her (the beheading of Holofernes by Judith has historically been a popular theme in art). When Holofernes' soldiers found his corpse, they were overcome with fear; the Jews, on the other hand, were emboldened and launched a successful counterattack. The town was saved, and the Assyrians defeated. After lighting the candles, it is customary to play (or spin) the dreidel. The dreidel, or sevivon in Hebrew, is a four-sided spinning top that children play with during Hanukkah. Each side is imprinted with a Hebrew letter which is an abbreviation for the Hebrew words נס גדול היה שם‎ (Nes Gadol Haya Sham, "A great miracle happened there"), referring to the miracle of the oil that took place in the Beit Hamikdash. On dreidels sold in Israel, the fourth side is inscribed with the letter פ‎ (Pe), rendering the acronym נס גדול היה פה‎ (Nes Gadol Haya Po, "A great miracle happened here"), referring to the fact that the miracle occurred in the land of Israel, although this is a relatively recent innovation. Stores in Haredineighborhoods sell the traditional Shin dreidels as well, because they understand "there" to refer to the Temple and not the entire Land of Israel, and because the Hasidic Masters ascribe significance to the traditional letters. In 2001, President George W. Bush held an official Hanukkah reception in the White House in conjunction with the candle-lighting ceremony, and since then this ceremony has become an annual tradition attended by Jewish leaders from around the country. 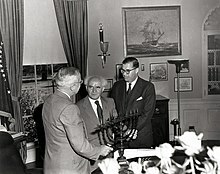 In 2008, George Bush linked the occasion to the 1951 gift by using that menorah for the ceremony, with a grandson of Ben-Gurion and a grandson of Truman lighting the candles. In December 2014, two Hanukkah celebrations were held at the White House. The White House commissioned a menorah made by students at the Max Rayne school in Israel and invited two of its students to join U.S. President Barack Obama and First Lady Michelle Obama as they welcomed over 500 guests to the celebration. The students' school in Israel had been subjected to arson by extremists. President Obama said these "students teach us an important lesson for this time in our history. The light of hope must outlast the fires of hate. That’s what the Hanukkah story teaches us. It’s what our young people can teach us— that one act of faith can make a miracle, that love is stronger than hate, that peace can triumph over conflict.” Rabbi Angela Warnick Buchdahl, in leading prayers at the ceremony commented on the how special the scene was, asking the President if he believed America's founding fathers could possibly have pictured that a female Asian-American rabbi would one day be at the White House leading Jewish prayers in front of the African-American president. In 2013, on 28 November, the American holiday of Thanksgiving fell during Hanukkah for only the third time since Thanksgiving was declared a national holiday by President Abraham Lincoln. The last time was 1899; and due to the Gregorian and Jewish calendars being slightly out of sync with each other, it will not happen again in the foreseeable future. This convergence prompted the creation of the portmanteau neologism Thanksgivukkah. Major Jewish holidays are those when all forms of work are forbidden, and that feature traditional holiday meals, kiddush, holiday candle-lighting, etc. Only biblical holidays fit these criteria, and Chanukah was instituted some two centuries after the Hebrew Bible was completed. Nevertheless, though Chanukah is of rabbinic origin, it is traditionally celebrated in a major and very public fashion. The requirement to position the menorah, or Chanukiah, at the door or window, symbolizes the desire to give the Chanukah miracle a high-profile. Some Jewish historians suggest a different explanation for the rabbinic reluctance to laud the militarism. First, the rabbis wrote after Hasmonean leaders had led Judea into Rome's grip and so may not have wanted to offer the family much praise. Second, they clearly wanted to promote a sense of dependence on God, urging Jews to look toward the divine for protection. They likely feared inciting Jews to another revolt that might end in disaster, like the CE 135 experience. With the advent of Zionism and the state of Israel, however, these themes were reconsidered. In modern Israel, the national and military aspects of Hanukkah became, once again, more dominant. In North America especially, Hanukkah gained increased importance with many Jewish families in the latter part of the 20th century, including among large numbers of secular Jews, who wanted a Jewish alternative to the Christmas celebrations that often overlap with Hanukkah. Though it was traditional among Ashkenazi Jews to give "gelt" or money to children during Hanukkah, in many families this has been supplemented with other gifts so that Jewish children can enjoy gifts just as their Christmas-celebrating peers do. Some Jews in North America and Israel have taken up environmental concerns in relation to Hanukkah's "miracle of the oil", emphasizing reflection on energy conservation and energy independence. An example of this is the Coalition on the Environment and Jewish Life's renewable energy campaign.